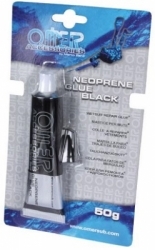 This is a glue selected specifically for its strength and flexibility. Not all types of glue can give the same results particularly in harder more demanding repair jobs. Clean and degrease the surface of the glue with a cleaning agent. Avoid moist and damp places. 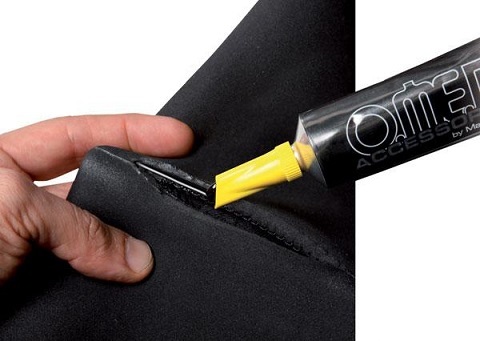 Immediately after the two surfaces are dry, spread a coat of glue evenly and allow to dry for at least an hour. After the second coat is dry (time varies depending on temperature and humidity) join the two glued surfaces and press the two surfaces together holding evenly for at least 30 seconds. Curing time is 24 hours before use. Stitching can be undertaken even after just a few minutes.